For up-and-coming designer Freya Dalsjø, things have been moving like a clockwork. 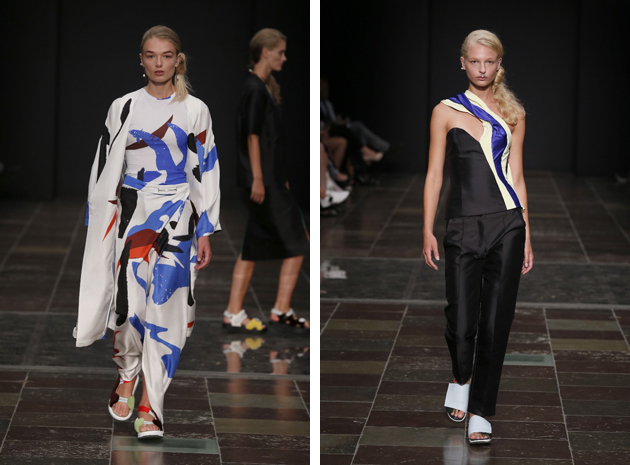 After graduating from the Antwerp Royal Academy of Fine Arts she launched – in June 2012 – her own brand Freya Dalsjø, and was given the honor of opening Copenhagen Fashion Week. Since then, Freya Dalsjø has been described as a fashion innovator always bringing a bold statement to the runway. 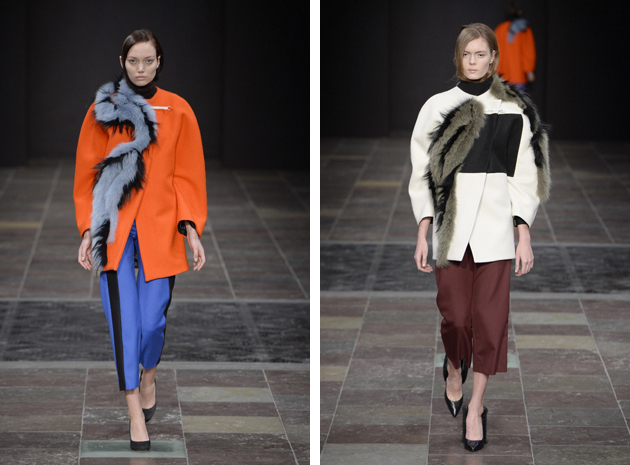 Numerous collaborations with designers in Denmark have been made, including Kopenhagen Fur and Nørgaard på Strøget. Her design and innovative skill has given her recognition both nationally and internationally; most recently the young designer was nominated for the Dansk Design Talent Award. Over the years, Freya Dalsjø has shown diversity in her work. 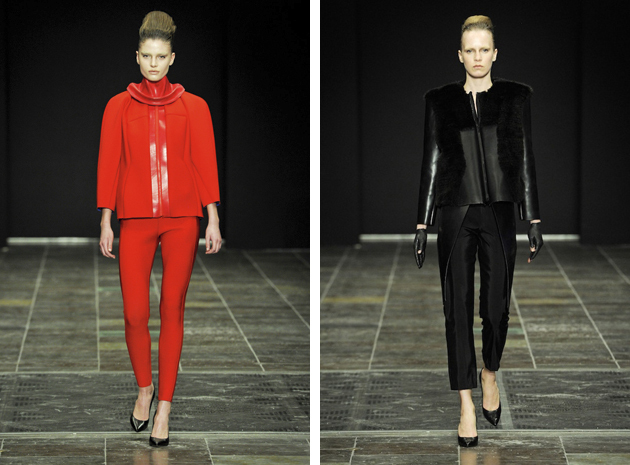 In her AW13 collection the feel was quite dark and futuristic. Women were presented as very confident and seductive – almost untouchable – with neoprene, leather and fur as well as exaggerated shoulders as the main component, creating a very postmodern look. 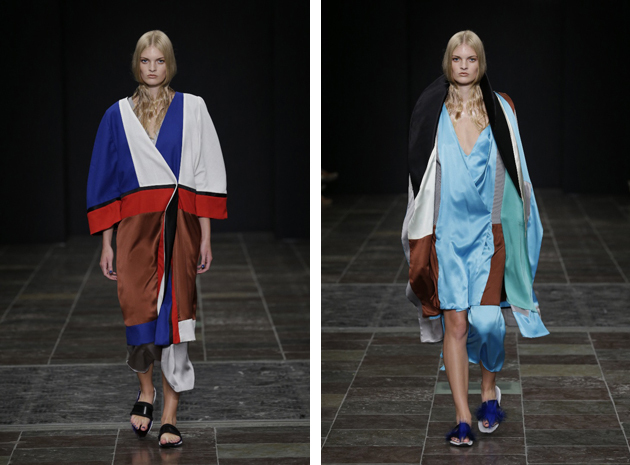 For SS14 it was as if the women had been lifted into a more serene state. The reference to the 1990s was there in silky slip dresses, as well as that to Eastern culture, with layered effects, draping, boxy shapes and superb use of color. For AW14, an architectural touch was introduced as a compliment to the layering, with the use of color-blocking remaining untouched in order to create unique prints and mix of materials to add dimension to the garment. It built a modern take on the 1960s, with several minimalistic pieces creating both staples and stand outs for the Scandinavian winter. 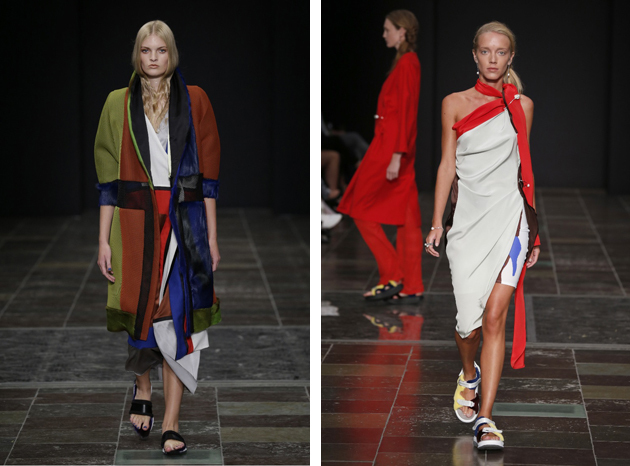 When witnessing Freya Dalsjø SS15 collection there was a clear range of know-how and talent being demonstrated. Draping, structured pieces and many more elements caught the eye: laid back colorful elegance at its best, making you long for spring. Freya Dalsjø isn’t simply a designer caught in the moment, her design has an eclectic element that invokes a thought process in the viewer and brings forth the notion that a woman who wears Freya Dalsjø doesn’t just use clothes as a mere reflection of herself but as a way of framing herself: the surroundings and feelings of a woman are capsulated into the act of dressing.